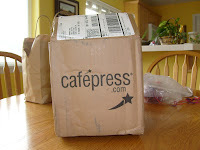 Some time ago Grammie got this package in the mail. "What can it be and who could it be from?" It was from her adopted grandpup Wally T. Corgador. Wally and GooberStan had adopted Grammie many, many months ago. Peanut and Flash were more than happy to share. We were all jumping waiting to see what she had gotten. Inside the box was a lovely mug for hot beverages. Grammie says that the saying fits her perfectly. She also got this: It is on her bag that she takes to work with her. She says. "Moco, I carry my life in that bag." I think she is full of baloney. I wish she had baloney in that bag as it is always sitting on the floor where I could get into it. Anyway I transgress. Grammie has always been one to speak her opinion even if most people think her bubble doesn't hit center. To the Great Wally T. Corgador, we say THANK YOU. Now we will get to the treats. Grammie decided to make us some brownies. Not to worry as they did not have an real chocolate. These were special for us dogs. She mixed them up. She baked them. Don't they look wonderful. I can tell you that Foley, Dawson and I loved every single crumb of them. I recommend them to all you pups out there. I want to tell everyone how much I enjoyed chatting this last weekend. 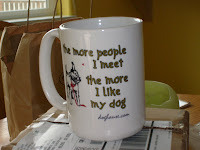 A big old shout out to all those new pups that I was able to connect with and all my regular blogging buddies. Can't wait until we get to do it again. 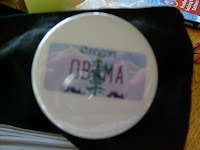 Mom wants one of those Obama Oregon buttons. We see Grammie figured out the links. We are proud of here. those are the brownies grammie sent us that put us into a brownie coma. There is baloney in our fridge. maybe I can get it out and send it to you. OH, I want some brownies, too! You are so lucky! 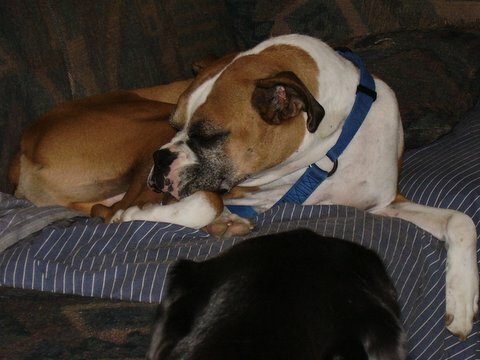 Thanks for donating to Legacy - we need to save more boxers! You are so generous! Hi Moco, Foley and Dawson! 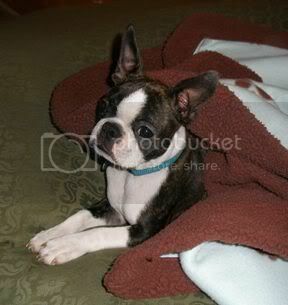 Thank you fur coming over to our bloggie and wishing Kena a happy barkday!! Also, is it ok if we add you to our furriends list? 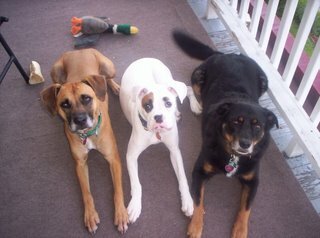 Thank you so much for donating to Legacy Boxer Rescue! My boxer and I really appreciate it. Thank you for donating to Legacy! We really need it these days in order to keep saving all these needy boxers! Thank you thankyou ! Those brownies look good! Oh dear, I'm drooling on the keyboard again! Thanks so much for your donation to Legacy Boxer Rescue! Browinies for doggies?? How it can be?? Hey Moco! It was great chatting with you! You got brownies? That is cool beyond belief. We should have sent the servant to visit when she was in Oregon, but it was lucky she found her way from the airport and back. Oh well. What a thoughtful adopted grandpup Wally is! Those brownies look deeeeeelicious! I think I need to whip up a batch for myself. Too bad I don't have any doggins to share with, right?! Thanks for stopping by our blog. It was great to meet you at the chat pawty. It was so much fun. 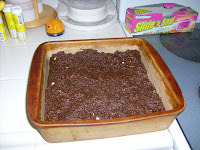 Btw, those brownies look delish. 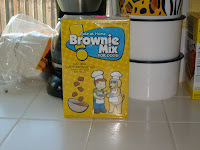 Our pinky makes brownies but they're the human kind so we never get any.......sigh. woof's Moco, heehee on my post of the magazine me iz will sumthin or other me furgot now, smith i thinks it wuz..the picturs disappears and re appears fur sum reason me not knows...yummm u iz makin me hungry wiff browniesss. Your brownies look so good! Thanks for stopping by and saying hi! I like your blog! Aww, Wally is so nice. Those brownies look great!! Where did Grammie get them? I want to be in a brownie coma, too!!! Please PLEASE slather Grammie with some extra gooberlicious and juicy goob smooches for me! 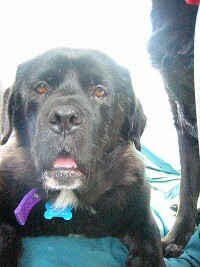 I have been a BAAAAD Granddog, staying away for so long. But, now I'm back, and trying to catch up on all your doings! SOrry I missed you guys in chat this weekend. I was there right at the beginning for a few minutes, then was pretty much gone for the weekend. Maybe some Sunday, huh? 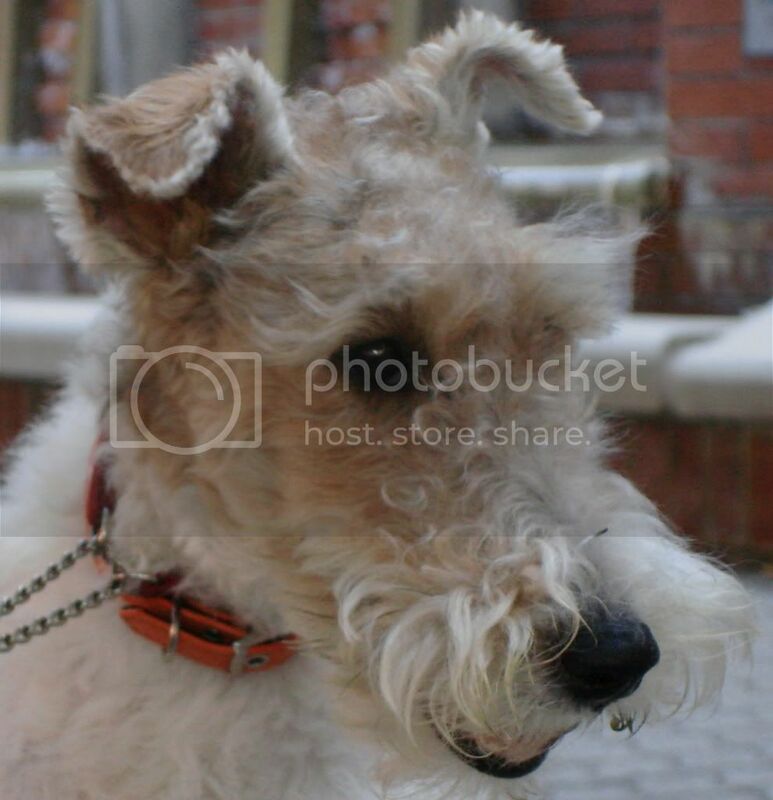 Wally T is the best little woober boy anydog could ask to have as a friend or relative. I just love that short-legged bundle of pi$$ and vinegar! Enjoy the brownies! They are looking mighty fine from where I'm sitting. Go, Obama! My Dad wears his buttons everywhere and has plastered our yard with signs. Mom's a little irritated but I think some yard art is always a good thing. Those brownies look fabu. You got brownies? Oh my Lord am I jealous! Do you guys live close to Wally? That Wally gives the bestest gifts. I would love to share some of those brownies with you, Moco. 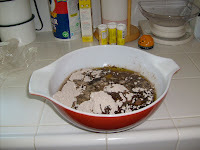 Your brownies look so tasty. I tried to walk to Oregon this morning to try some but only got as far as our housing development before I needed a nap. Maybe the aliens could give me a lift?